MANILA, Philippines - Goodbye 2017 and say hello to the upcoming year with the metro's New Year's Eve (NYE) Countdown to 2018 festivities. 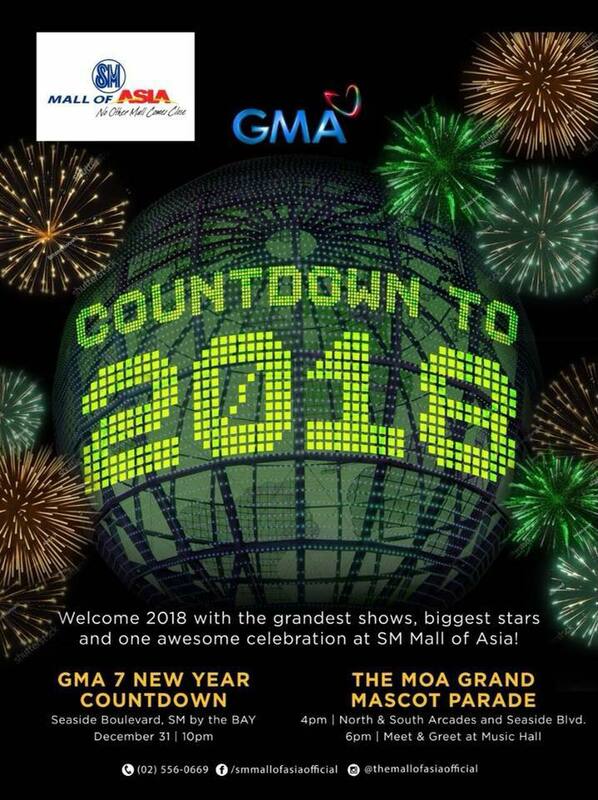 Countdown to 2018 image courtesy of SM Mall of Asia Facebook page. Beyond the traditional new year's eve (NYE) celebration are the countdown and special events happening around Metro Manila. On December 31 (Sunday), several establishments and companies will showcase their grandest welcome to 2018 and the Year of the Earth Dog. 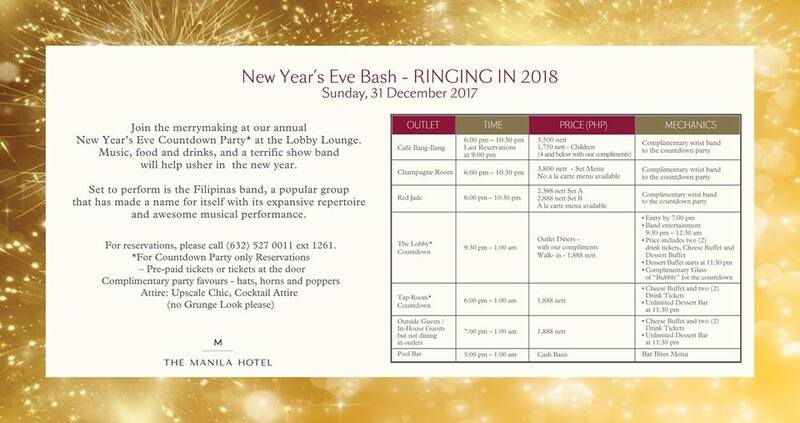 Ring in 2018 with the best and meaningful celebration — full of fireworks, bountiful banquet, music and loud revelry in epic proportions to usher in the New Year. For two (2) days, guests and families will be able to enjoy a wide array of the most fun activities and attractions on site: amusement park, thrill rides, fireworks display, game booths, bazaar, countdown concert. 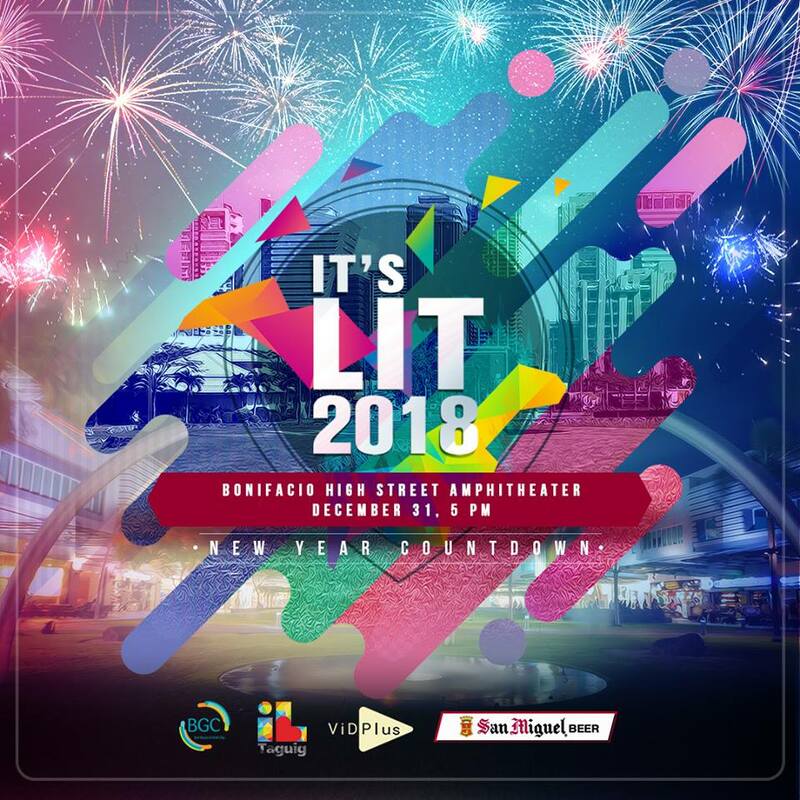 Concert on December 30 features the performance of Up Dharma Down, Silent Sanctuary, Aia de Leon, Jumanji Incident, Renz Verano, Part 3, Kim Domingo, Mike Hanopol and Hanopology. The NYE Countdown to 2018 highlights the performance of Willie Revillame, Ruru Madrid, Boyfriends, Victor Wood, Anthony Castelo, Pamu Pamorada, Marlann Flores, Ara Mina, Kisses Delavin, Diana Menezes, Dingdong Avanzado and Jessa Zaragosa, Claire dela Fuente and Imelda Papin. 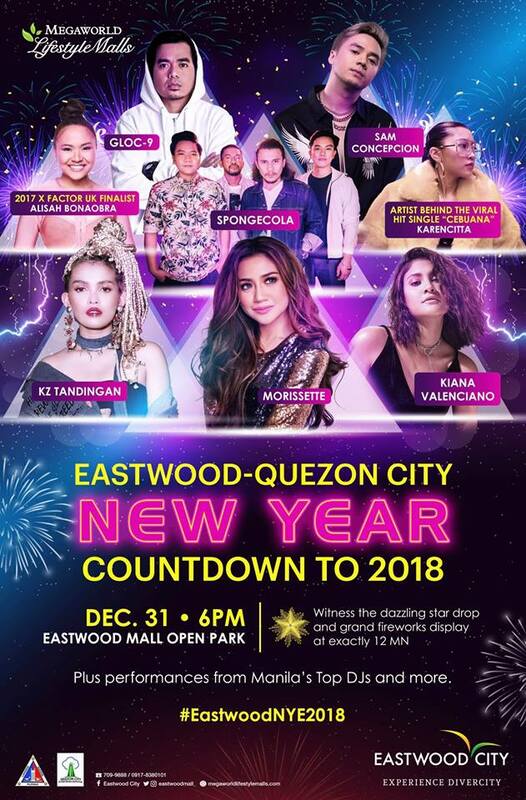 Join the party during the last hours of 2017 with special entertainment from Gloc-9, Sam Concepcion, 2017 X Factor UK Finalist Alisah Bonaobra, Karencitta of the viral hit single “Cebuana”, Spongecola, Kiana Valenciano, KZ Tandingan and Morissette! Plus, end the year with a bang by witnessing the dazzling Star Drop and Fireworks Display at exactly 12 midnight. Catch your favorite Kapuso artists in a night full of loud revelry, fireworks and merry-making as GMA-7 open the year buzzing with seasonal treats, festive cheers and sparks. Witness the performances of heartthrobs Alden Richards, Mark Herras, Benjamin Alves, Rocco Nacino, Miguel Tanfelix, Jak Roberto, Jeric Gonzales, Addy Raj, Matthias Rhoads, Juancho Trivino, Jason Abalos and Migo Adecer. Kapuso leading ladies Bianca Umali, Joyce Ching, Klea Pineda, Ayra Mariano, Denise Barbacena, Lindsay de Vera, Hanna Precillas together with 2017 Reina Hispanoamerica Winwyn Marquez are set to provide their sizzling moves. The night won’t be complete without the enjoyable musical entertainment brought by Asia’s Romantic Balladeer Christian Bautista and Asia’s Pop Princess Julie Anne San Jose. Kapuso viewers are definitely in for a treat as Kapuso leading ladies Andrea Torres, Kris Bernal and Sanya Lopez sizzle the countdown with their fiery performance. Live telecast starts at 10:00 pm to 12:30 am on GMA. For the first time ever, Bonifacio Global City and Think Big Taguig welcome 2018 with an epic New Year’s Countdown, in partnership with San Miguel Beer! 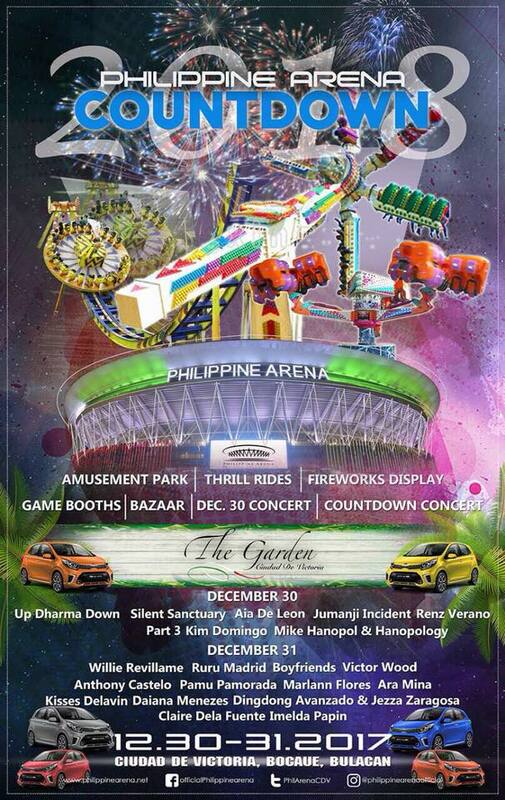 Food, fireworks, beer & holiday cheer, with live performances from Hale, Aia de Leon, Kiana, Gab, and Gary Valenciano! Celebrations start at 5pm, Bonifacio High Street Amphitheater. 5. 2018 ALL IN: The Okada Manila Countdown Celebration | December 31 at 10:30 p.m. Welcome 2018 at the newest party destination in Okada Manila! 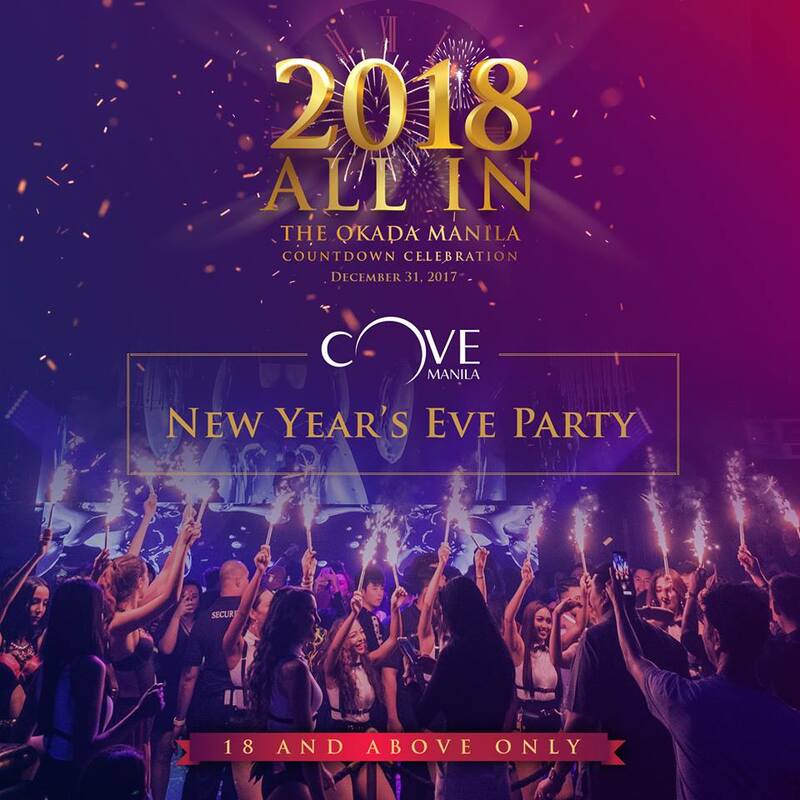 Cove Manila's year-end party will feature Grammy Award-winning DJ Cedric Gervais, live performances by the World of Wonders, and Solenn Heussaff as special guest. The event will be hosted by Rhian Ramos, Sam YG and Rico Robles. Gates open 10:30 PM. Tickets are available at www.covemanila.com. Reminders: This event is for 18 years old and above only. Public parking will not be available at the resort. For the convenience of guests, shuttle services are provided around the metro. Visit http://okdmnl.ph/nyeshuttle for the list of shuttle schedule and locations. Catch UDD, KZ Tandingan, Michael "Mitoy" Yonting, Alex Calleja and GB Labrador at The Plaza, Newport Mall. Party with Randy Santiago and Judith Banal at Bar 360. 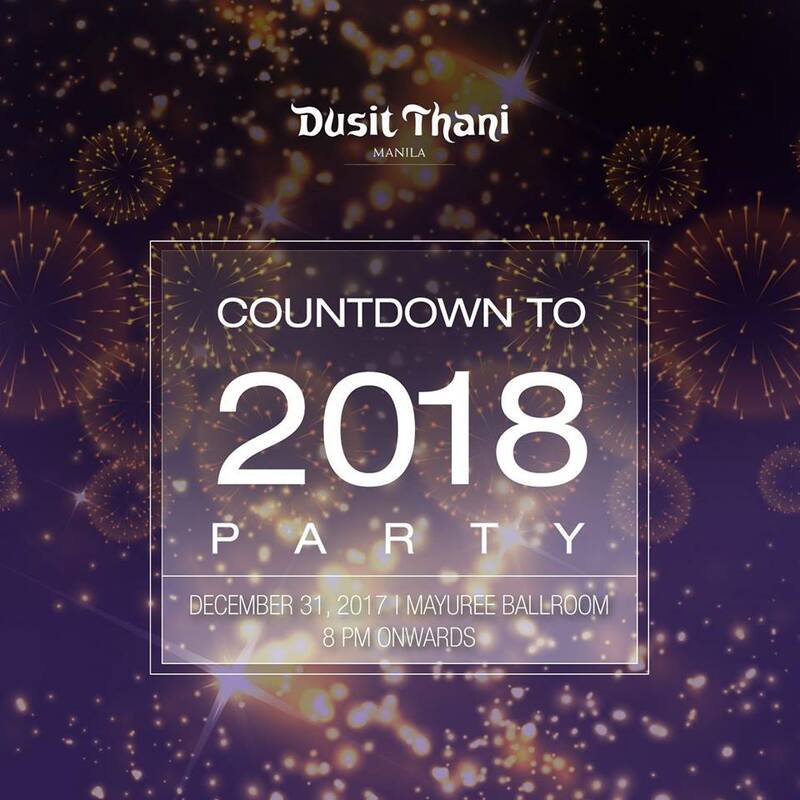 Or be part of The Grand Countdown to 2018 at the Marriott Grand Ballroom with Lani Misalucha, Arnel Pineda, Darren Espanto, Sam Mangubat, Jon Santos and Giselle Sanchez. 7. 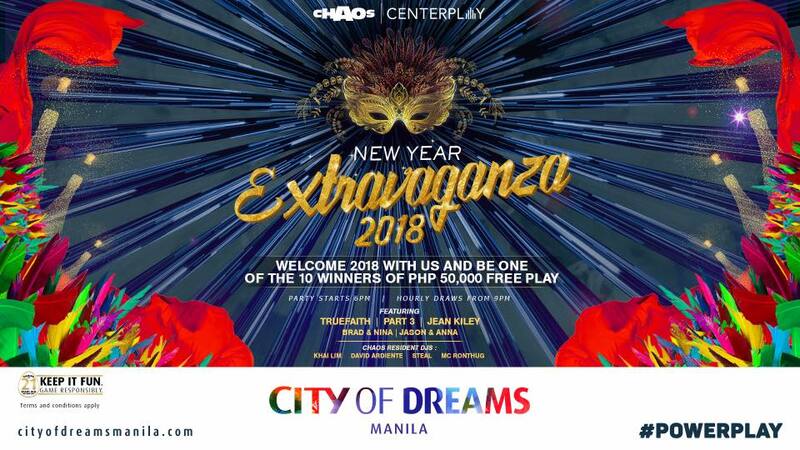 City of Dreams Manila: New Year Extravaganza 2018 | December 31 at 6:00 p.m.
Back to back New Year’s Eve countdown parties as we ring in 2018! Sing along at CENTERPLAY with Truefaith, Part 3, and Jean Kiley. Party at CHAOS and dance the night away with Brad & Nina and Jason & Anna along with their resident DJs Khai Lim, David Ardiente, Steal and MC Ronthug. Come over and be one of 10 lucky winners of P50,000 Free Play in their hourly draws starting at 9pm. 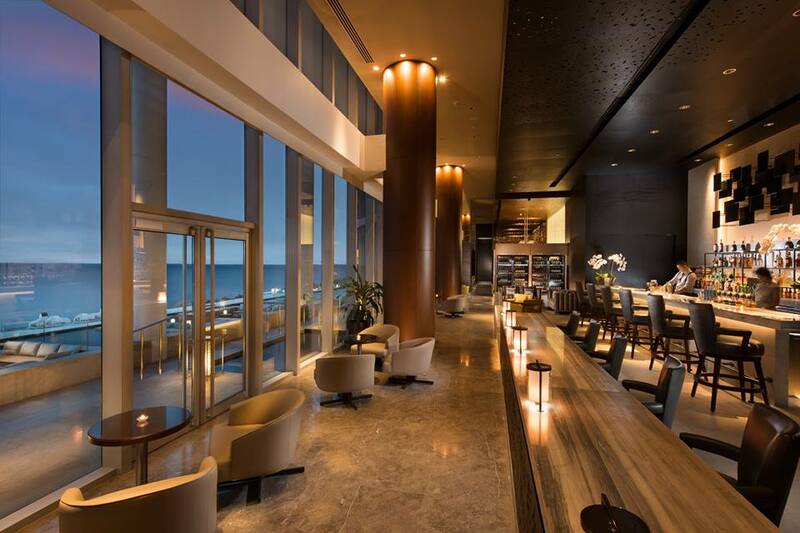 Party in style for the arrival of the New Year at Corniche, Lobby Lounge or Bar 27. It's a glam and VIP end to 2017 that you should not miss on December 31. Kick off the New Year with a bang with an elegant feast of gastronomic delights. 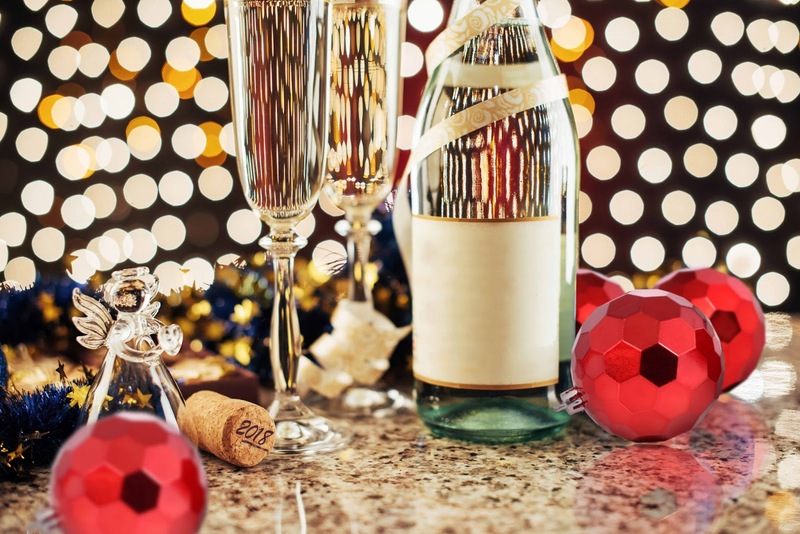 Have your New Year's Eve Dinner at the Corniche Buffet at Php3,580 nett per person from 6.30pm to 12.30am and celebrate new beginnings with a glass of Cava, party favors and access to the New Year Countdown Party with live entertainment by the Infinite Band and Yellow Lane Band. Plus, you will get a chance to win roundtrip airline tickets for two to Davao! Buy 3 tickets and get an additional ticket to the party for free when you purchase at onlineshopping.diamondhotel.com. For queries and reservations, please call Diamond Hotel at (632) 528-3000 ext. 1121. See more details here. Diamond Hotel Philippines is located at Roxas Boulevard corner Dr. J. Quintos Street, Manila. For inquiries, please call (632) 528-3000 or email guestservices@diamondhotel.com. 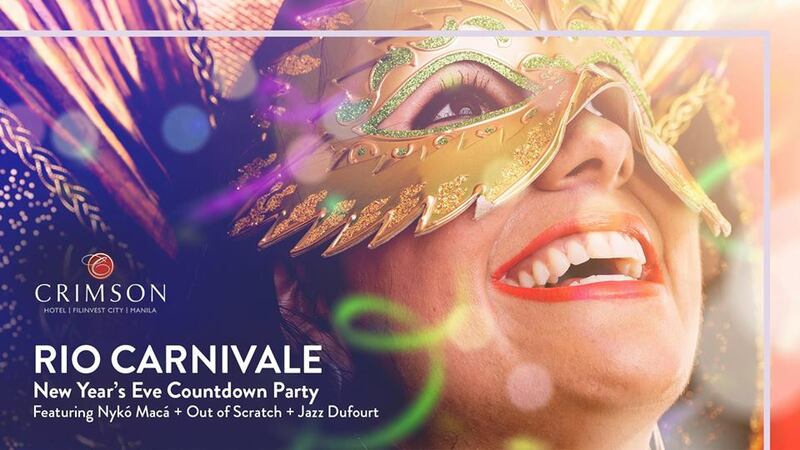 Sofitel Philippine Plaza Manila transports guests to bustling Saint-Tropez in an exhilarating New Year’s Countdown celebration. Come in your nautical high street ensemble of blue, black, white and gold and toast to 2018 in the first grand party of the year. Guests stand a chance to win in a grand raffle featuring dining vouchers, luxury merchandise, relaxing sojourns in featured destinations and a travel voucher for 2 to the winner’s destination of choice. Enjoy a full program of decadent cuisine, live musical entertainment and Sofitel’s annual fireworks display. Rate is set at Php5,200 nett per person. Music, food, drinks and terrific show band will help usher in the new year. Set to perform is the Filipinas band, a popular group that has made a name for itself with its expansive repertoire and awesome musical performance. Nykó Macá with Out of Scratch and Jazz Dufourt will be performing the beats of Brazil with a range of motion that includes slick percussive power and melodic flexibility. Nykó Macá flows in French, Tagalog, Portuguese and everything else while Afro-Cuban prodigy Jazz Dufourt can throw at Out of Scratch’s sonic game. So expect a night of spectacular display of refined artistry and raw grooves. Get ready to kick off the New Year with glitz and style. Sip fine wine, cava and bespoke cocktails while indulging in a special buffet spread of artisan cheeses, premium charcuterie, hot appetizers, and a carving station. Dance the night away with The Brat Pack as they serenade you with contemporary and classic jazz swing tunes during this fabulous night. 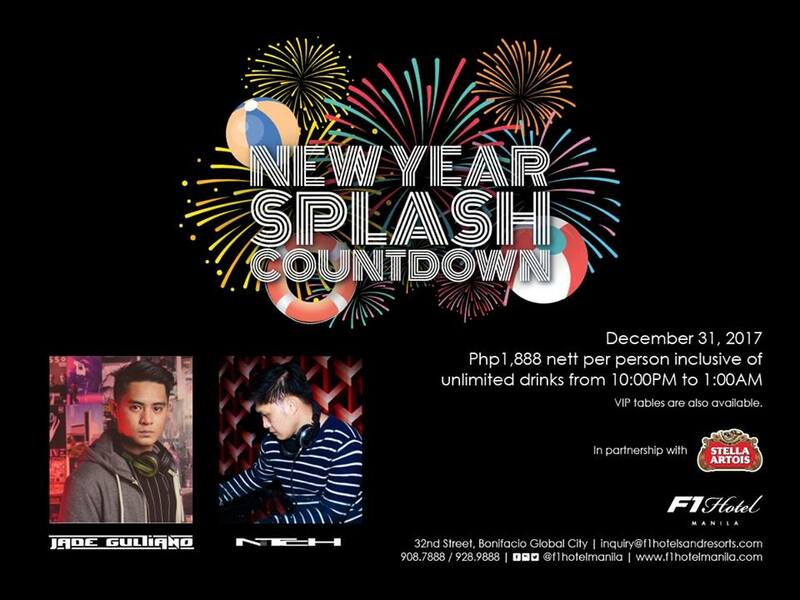 The New Year's Eve Party package is priced at PHP 4,500 net per person, available from 9pm to 1am. Advanced reservation is required. 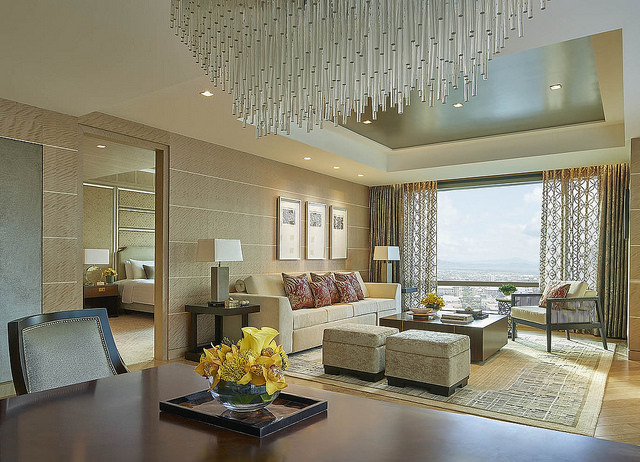 Email slfm@shangri-la.com or call (632) 820 0888. Celebrate the year that was and welcome the New Year with a bang at the Mayuree Ballroom on December 31. Ring in the 2018 in festive spirit with the live music entertainment by The Verve Band and dance to the exceptional beat of DJ Ornussa Cadness. Free access applies to guests availing of the New Year's Eve Set Menu at Benjarong and New Year's Eve Crossover Dinner. For tickets, call Restaurant Reservations at 238-8888 extension 8430, 8838. Celebrate new year's eve & party all the way to 2018! Revel in for variety of food, unlimited booze and great music from their featured DJs. Don't forget to be in your swimming attire to enjoy the new year splash! In partnership with Stella Artois. For tickets, call us at 908-7888. Rock the night and year away with your favorite tunes from 2017 and back, with Red Picasso performing live at C Lounge. Sip and savor your favorite mixes while indulging on a special New Year’s Eve menu all complemented by stunning views of the Manila Bay that dazzles in fireworks display. 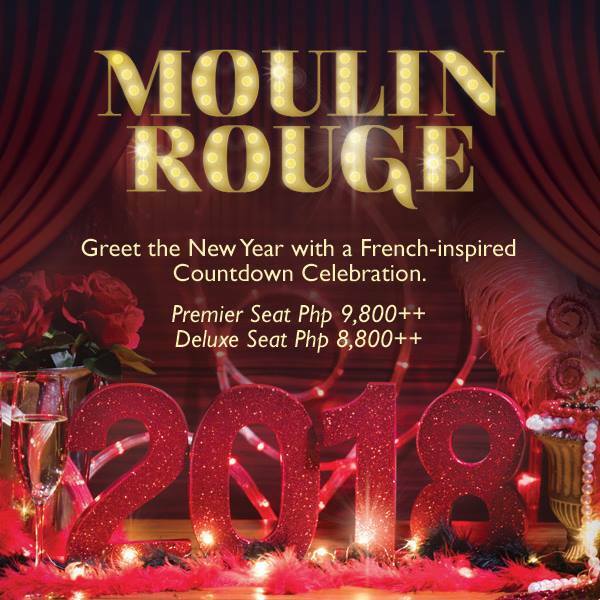 Greet the New Year with Moulin Rouge, French-inspired countdown celebration! Eat and drink luxuriously with our sit-down dinner while enjoying live performances by Fenchie Dy, Alvin Cornista, Mystic Mime and more. For ticket reservations, call 814 2580 or email rric.slm@shangri-la.com. Few days left until the New Year! Say hello to 2018 with a bang in IBIZA. Counting down to 2018 with an amazing view of the BGC skyline, Ibiza is giving you the ultimate Countdown Party Package: DJ John Robinson, the Ibiza Show Team, and the Pop Culture Band are dead set on giving you the time of your life, keep you on your feet, dancing the night away as one should to celebrate the awesome year that was. For more details, call +632 755 1777 or +63 917 633 7499 to pre-purchase your tickets. 1. ABS-CBN News heads directly to a multiplatform coverage of the country’s celebration to welcome 2018. There will be a New Year countdown dubbed “Salubong 2018” on Channel 2 on Sunday (December 31) at 11:30pm anchored by Adrian Ayalin and Pia Gutierrez. Meanwhile, on DZMM, Noel Alamar and Jeff Hernandez will also be on board from 10 pm to 1 am to be one with Kapamilyas in ushering the new year, followed Carl Balita and Stargazer from 1 pm to 4 am on DZMM Radyo Patrol 630 and DZMM TeleRadyo. 2. Photos and information above are from official Facebook pages and websites of different establishments or companies with New Year Countdown to 2018. TheSummitExpress.com compiled the top 18 places and events for the benefit of its readers. 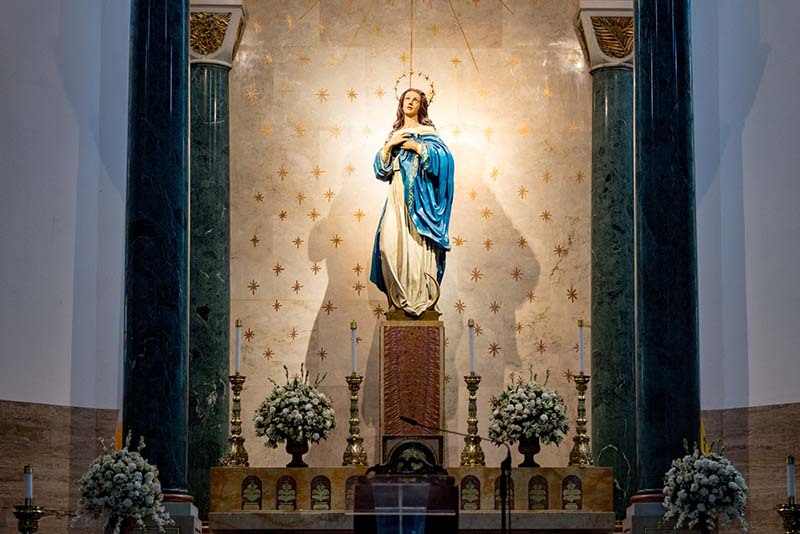 MANILA, Philippines - President Rodrigo Duterte signed into law a bill declaring December 8 of every year a special non-working holiday to commemorate Feast of Immaculate Conception of Mary. The declaration through Republic Act (R.A.) No. 10966 will add another day to the many holidays and special non-working days the nation has in one year. In 2018 and 2019, December 8 falls on a Saturday and Sunday, respectively. Majority leader Rodolfo Fariñas of Ilocos Norte authored the bill. The Filipinos consider the feast a "day of obligation," requiring Catholics to participate in Mass. Capitalizing on the popularity of superhero properties in mainstream media, Star Cinema’s first entry in this year’s Metro Manila Film Festival stars popular comedian Vice Ganda as Gandarra and teen star Daniel Padilla as Rappido, alongside Ms. Universe 2015, Pia Wurtzbach as Kweenie in her acting gig return. “Gadarrapiddo: The Revenger Squad" covers the popcorn flick, massively appealing films quota that usually come out every December, and most likely top box office stats. From the surface alone, you already know that the film goes into comedic territory with its outrageous posters chock full of glitzy, supposedly superhero costumes There is no pretense that the movie will bring anything more than laughs -- hopefully well-earned ones to viewers who are willing to rush to the theaters and catch it on opening day. That is no problem given that there is a specific demographic that these kinds of movie cater to, but just because these people are on in for the fun, does not mean that they have to settle for a poorly constructed flick with a rather messy plot that is only there to evoke a few chuckles. The thing about “The Revenger Squad,” however, is that it caters to a certain brand of humor. If you’re a fan of the sarcastic and snarky, Vice Ganda-trademark, then this film definitely delivered on that front. Additionally, there are the witty names of other characters which Filipinos can definitely pick-up. Unfortunately, outside of that, it doesn’t venture much. The jokes are lazy and mostly rooted in making fun of people’s physical appearance. So, some moviegoers who would want some refreshing humor could unfortunately feel like it’s not entertaining enough, or very repetitive and worse, even offensive. Its demeaning quips that could almost be equated to bullying being passed up as something funny is not okay. 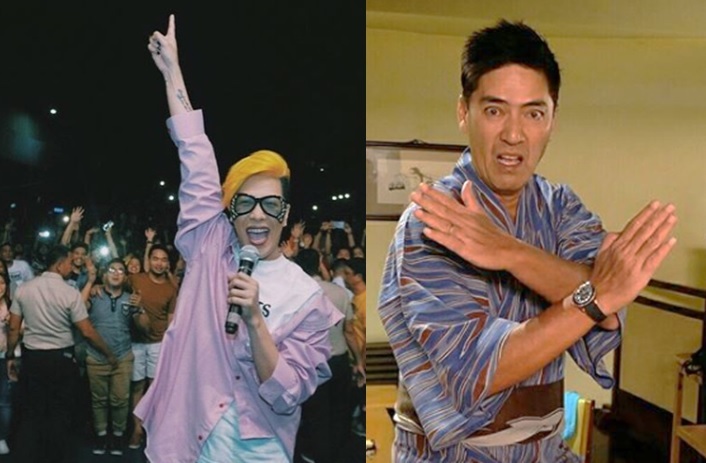 Then again, it’s best to assume that people who endeavor to watch the movie is not looking for something new, but for something more granted this is Vice Ganda’s humor wheelhouse. The Bb. Joyce Bernal-directed movie, however, is the most effective when it does not convolute its narrative with supposed superhero storyline. When it unabashedly embraces that it is a comedic film more than anything, then it’s easier to disregard its glaring plot flaws in an already very thin narrative. By all means, it’s almost criminal to categorize the film as a superhero project as aside from expositions and campy supposed supernatural powers that the characters have, there is really nothing more to it in that genre. It’s actually a mystery why Wurtzbach is even part of it. Not that she’s not effective, it’s just that she does not really have any purpose other than to be the embodiment of being physically beautiful -- a plot device with which Vice Ganda can tap on to deliver her sassy remarks. If anything, it’s a comedy (the specific kind) -- and everything else is secondary. With the stars top billing “The Revenger Squad,” it’s bound to deliver in terms of box officer returns for Star Cinema and VIVA Films. But it’s kind of frustrating that this kind of disjointed and poorly-made flick is part of the MMFF -- an annual movie festival that should honor the best of the best in terms of Filipino filmmaking. Just because it’s a comedy and is made to entertain do not mean that it should be mediocre at best in quality. While it definitely has a target market, it’s difficult not to come to the conclusion that the only reason supposed blockbusters like this are made is because they are cash cows. 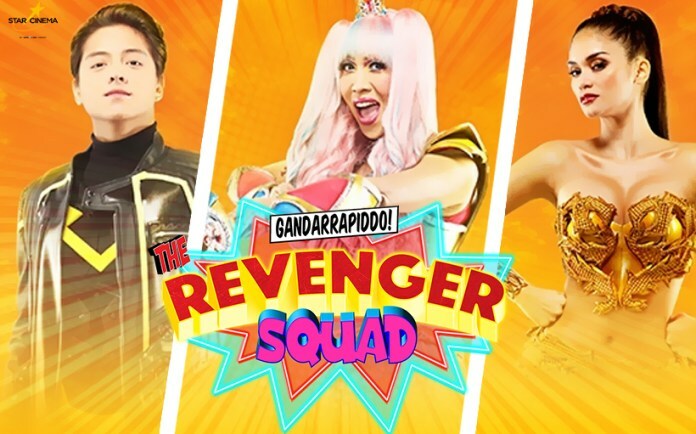 “Gandarrapiddo: The Revenger Squad” is one of the eight films partaking in this year’s MMFF. If this isn’t your type of holiday media entertainment, check out all the other movies and see which one tickles your fancy. 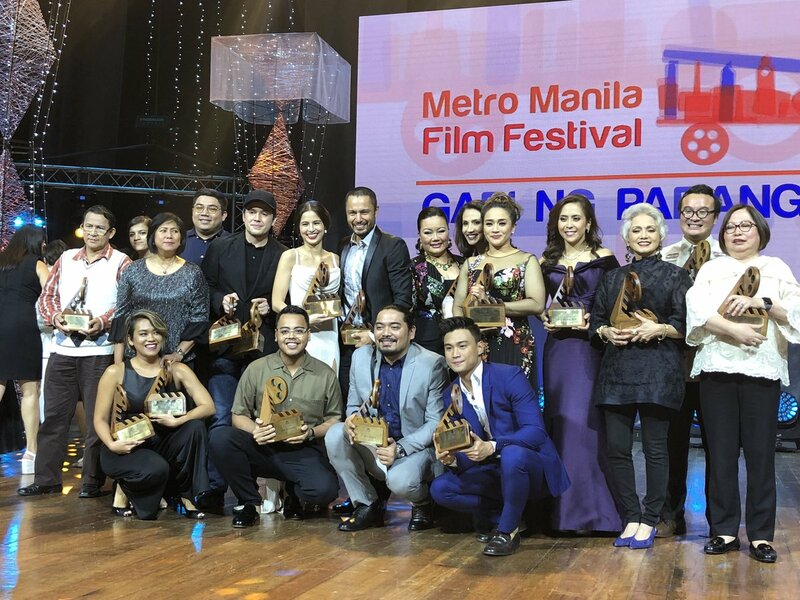 MANILA, Philippines - (Updated) The 43rd Metro Manila Film Festival (MMFF) executive committee announced the full list of winners at the 2017 awards night (Gabi ng Parangal) held on Wednesday, December 27 at the Kia Theatre, Araneta Center in Cubao, Quezon City. This year's magic eight entries for the full-feature and short film categories of the MMFF are vying for the top acting awards and best picture. Official entries include Derek Ramsey and Jennylyn Mercado's "All of You," Coco Martin's "Ang Panday," Vice Ganda, Daniel Padilla and Pia Wurtzbach's "Gandarrapiddo: The Revenger Squad" and Vic Sotto and Dawn Zulueta's "Meant To Beh." Also in the movie theaters today are Joross Gamboa and Edgar Allan Guzman's "Deadma Walking," Jane Oineza's "Haunted Forest," Rachel Alejandro and Paulo Avelino's "Ang Larawan," and Jericho Rosales, Erich Gonzales and Jasmine Curtis-Smith's "Siargao." Derek Ramsay (All of You) and Joanna Ampil (Ang Larawan) won the MMFF 2017 Best Actor and Actress awards, respectively. Meanwhile, Paul Soriano bagged the Best Director award for "Siargao." 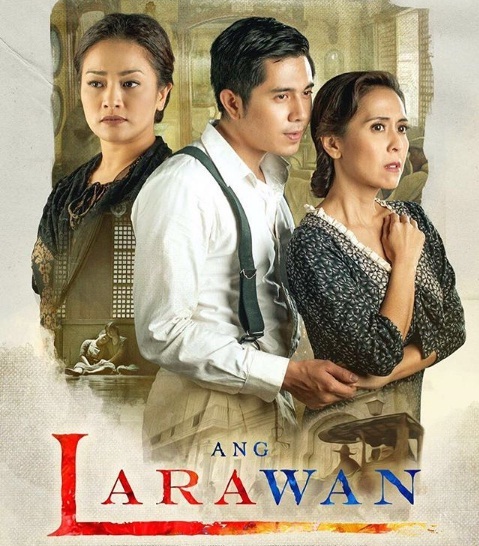 "Ang Larawan" was also named first Best Picture of the festival. Short films are "Anino" by Malaya Ad Castillo, "Anong Nangyari kay Nicanor Dante?" by Brian Spencer Reyes, "Black Market" by Gio Gonzalves, "Crab Mental" by Joaquin Bamba, "Gunita" by Ryceanne Marie Manlulu, "Isang Gabi" by Gio Gonzalves, "Kinalimutan Natin ang mga Bata" by Gilb Baldoza and "Noel" by Win Gonzales. The awards night features the newly designed trophy by art designer Clifford Espinosa of Espinosa Arts and Design. The television coverage of the awards night will be aired on TV5 at 4:15 p.m on Thursday, December 28. The festival kicked off with the Parade of Stars in Muntinlupa City on December 23. Nationwide screening is set from December 25 until January 7, 2018. While the official ranking and gross income of respective films were not announced per agreement of the MMFF Executive Committee (Execom), producers and theater representatives, it was revealed that this year's festival broke box-office records. "This year’s Metro Manila Film Festival broke box-office records as it surpassed the 2015 first and second day gross sales. It also tripled the foot traffic to the theaters from last year," MMFF shared on their official Facebook page. By virtue of Metro Manila Commission Executive Order No. 86-09, pursuant to Presidential Proclamation Nos. 1459, 1485, 1533, 1533-A and 1647, the MMFF is held during the Christmas Season in recognition of the role of the film industry in providing artistic depictions of both this country's stories and history. 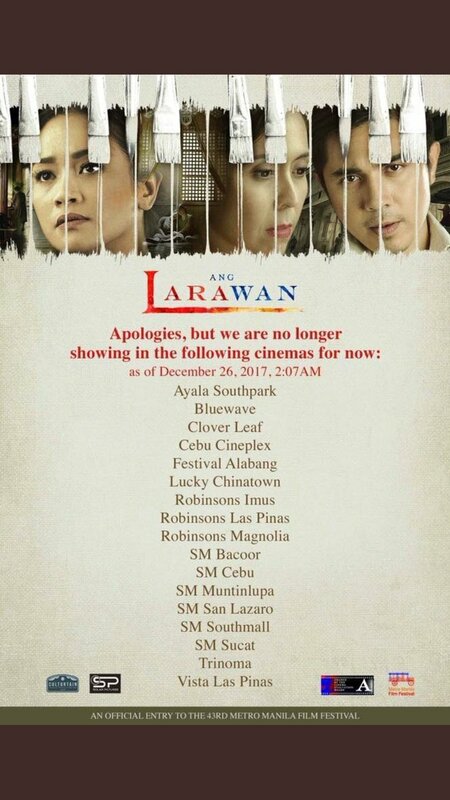 MANILA, Philippines - Just a day after the Metro Manila Film Festival (MMFF) 2017 kicked off, official entry “Ang Larawan” had already been pulled out in some cinemas. Despite the MMFF policy that no entry will be removed from the cinemas during the first week, the producers of the independent film decided to concede. MMFF 2017 Spokesperson Noel Ferrer explained that the producers of “Ang Larawan” and the cinema owners came to a decision after learning of their first-day sales. The cinema owners agreed that they will continue to screen “Ang Larawan” in January 2018. Meanwhile, the casts and team of the indie film had been rallying to keep the critically acclaimed film. Paulo Avelino, one of the lead stars invited everyone to catch it in some cinemas. Ryan Cayabyab, the musical director also urged everyone to try their work. For those asking for straight up MMFF recommendations: I enjoyed Ang Panday the most, I think, but see Ang Larawan first, before they take it away from you. “Ang Larawan” was based on “A Portrait of the Artist” written by national artist Nick Joaquin. It was translated by another national Bienvenido Lumbera and music by Ryan Cayabyab. It stars Rachel Alejandro, Joanna Ampil, Robert Arevalo, Nonie Buencamino, Menchu Lauchengco-Yulo, among others. It had been well- applauded by critics during its premiere in the 30th Tokyo International Film Festival last month. Continuing the lore of one of the Philippines’ most celebrated superhero icons, Coco Martin takes over the mantle as the newest wielder of the mystical sword, and technically the next in the the original Panday’s bloodline to use the weapon, Flavio III. 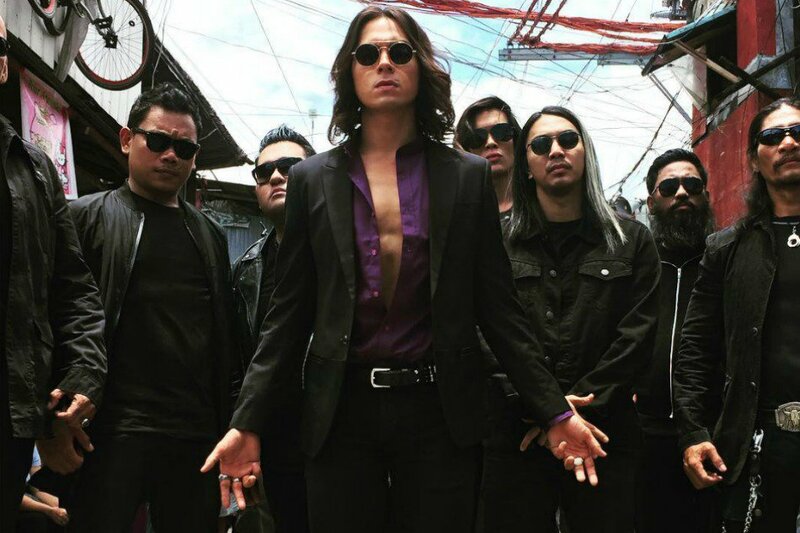 'Ang Panday' puts a spin on the tale by presenting the popular actor as the third in bloodline to possess the weapon that will be useful in defeating arch enemy, Lizardo, played by Jake Cuenca. Given that we have seen multiple iterations of the character already -- be it on the big or small screen, it’s difficult to be intrigued by this new version of “Ang Panday.” The various incarnations of Flavio had been spun in numerous ways that sometimes, it is kind of a wonder why we keep on rebooting the film in a way that seems to just be a one and done thing. Despite this, everyone can agree that the quintessential form of the Pinoy superhero remains to be Fernando Poe Jr.’s 1980 outing, and given Martin’s career trajectory seemingly trying to emulate “The King’s,” it makes sense that he gets a crack at one of his most iconic roles. Not just in terms of embodying the role, but also directing himself, just like Poe Jr. back in his day. The best thing, however, that director Martin did with his version of “Ang Panday” is to put a contemporary flavor to it. Retreading the same story from the same origins story feels too redundant at this point. Presenting the new narrative as a continuation of the longstanding story opens up the lore in a way that the film does not film boxed by what its predecessors have set. Further, it gives the movie the ability to carve its own place in the string of “Ang Panday” films over the years. 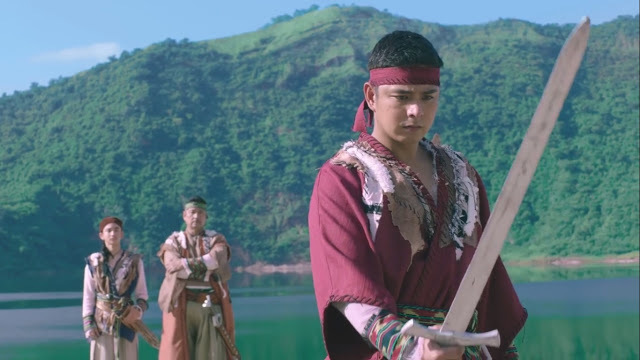 Unfortunately, “Ang Panday” does not offer something new in terms of cinematic storytelling. The tropes are too cliched just wrapped in a new way. Cuenca’s performance was convincing but is hindered by uncompelling motivations, leaving his iteration no different than other versions of the antagonist bar the fact that he makes Lizardo more stylish, making him scary in a different way. Understandably, the film also gets campy at times, but it’s tolerable considering the kind of mystical story that it is telling. 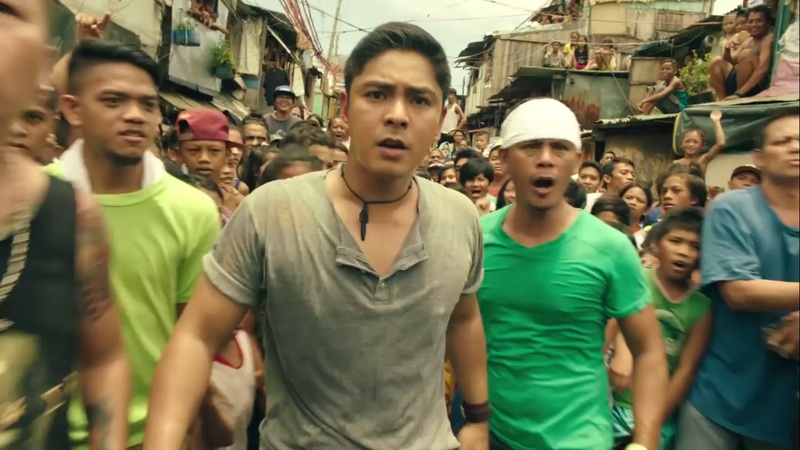 All in all, Coco Martin’s “Ang Panday” is decent retelling of the age-old story. The attempt to modernize the story for a new generation of fans is commendable, but it fails short in terms of fully executing the narrative. Nonetheless, if you want a thrilling action-adventure flick, there are enough interesting plot points that make it worth your while in the cinemas. “Ang Panday” is one of the eight films partaking in MMFF 2017. If this isn’t your type of holiday media entertainment, check out all the other movies and see which one tickles your fancy. MANILA, Philippines - The Metro Manila Film Festival (MMFF) 2017 committee announced that the first day of the festival was a success but refused to reveal the top grossing films. In an interview with CNN Philippines on Tuesday, December 26, Ferrer was asked by Pinky Webb who's the top grosser. Ferrer said, "Ah hindi pwede, you know why, the producers, Executive Committe (ExeCom) and even the theater owners vowed according to rule na wala maglalabas ng ranking, official earnings and box office gross because they want to help the films. Kapag nilabas mo yan, may bandwagon effect, kawawa naman [independent films]." Ferrer added that the MMFF has stiffer penalties for early release of top-grossing films. "Even Star Cinema and ABS-CBN cannot claim na number 1 sila. From Php 20,000 na fine, it was agreed to increase to Php 200,000." Ferrer said the topgrossers will be named at the end of the festival or in January 2018. DEVELOPING STORY: Once available, the list of top grossers will be posted on this site. Stay tuned. The first 4 films selected for MMFF 2017 (as announced on June 30) were Derek Ramsey and Jennylyn Mercado's "All of You", Coco Martin's "Ang Panday", Vice Ganda, Daniel Padilla and Pia Wurtzbach's "Gandarrapiddo: The Revenger Squad" and Vic Sotto and Dawn Zulueta's "Meant To Beh." Other entries to the 43rd edition of MMFF (announced on November 17) are the comedy-drama "Deadma Walking" starring Joross Gamboa and Edgar Allan Guzman; horror film "Haunted Forest" starring Jane Oineza, Jameson Blake, Maris Racal, Jon Lucas; musical film "Ang Larawan" starring Rachel Alejandro, Paulo Avelino, Joanna Ampil; and the romance drama "Siargao" starring Jericho Rosales, Erich Gonzales and Jasmine Curtis-Smith. The 2017 MMFF will run until the first week of 2018 in major cinemas nationwide. The Gabi ng Parangal or MMFF 2017 awards night is set on December 27 in Kia Theater in Cubao, Quezon City. It will feature the newly designed trophy by art designer Clifford Espinosa of Espinosa Arts and Design. MANILA, Philippines - The Light Rail Transit (LRT) and Metro Rail Transit (MRT) management have released adjusted train service schedule for December 24, 25, 31, 2017 (Christmas Holidays) and Jan 1, 2018 (New Year) operations. 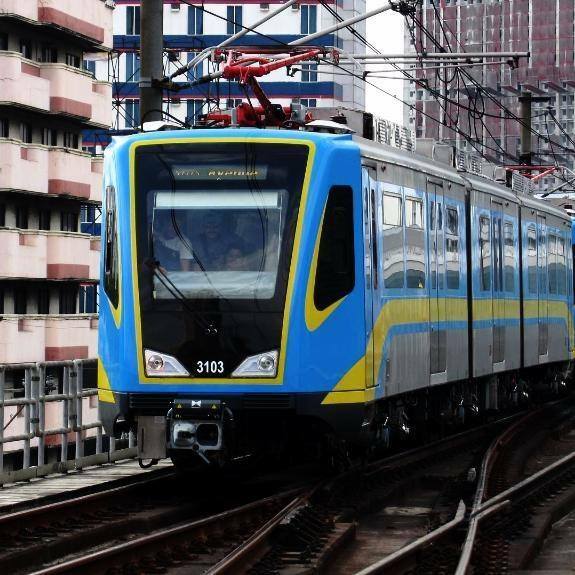 LRT-1, the oldest mass transit system in Southeast Asia, will have shorter operations on December 24 and 31. It will begin its first trip from Roosevelt to Baclaran at 4:30 a.m., but the last trip will be at 8 p.m on Christmas Eve. On New Year's eve, LRT1 operations will be from 4:30 a.m. to 7 p.m.
December 24: 4:30 a.m. to 8 p.m.
December 25: 4:30 a.m. to 9:50 p.m.
December 30: 4:30 a.m. to 9:50 p.m.
December 31: 4:30 a.m. to 7 p.m.
January 1: 4:30 a.m. to 9:50 p.m.
Normal operating schedule is from 4:30 a.m. to 10 p.m. on weekdays and 4:30 a.m. to 9:30 p.m. on weekends and holidays. As announced on Twitter, LRT2 will also have shorter operating hours on December 24 and 31. Westbound Santolan to Recto on December 24 will run from 4:30 a.m. to 8 p.m, while the eastbound Recto to Santolan will be from 4:30 a.m. to 8:30 p.m.
Due to the reduced volume of passengers, MRT will also limit its operations on December 24 to January 1. December 24: 4:45 a.m. to 8:26 p.m.
December 25: 6:30 a.m. to 9:50 p.m.
December 30: 4:45 a.m. to 9:50 p.m.
December 31: 4:45 a.m. to 8:26 p.m.
January 1: 6:30 a.m. to 9:50 p.m.
Those looking for the Philippine National Railways (PNR) train schedule may refer to the timetable posted on their website. As of press time, no announcement yet if there will be a deviation on the normal schedule. The Metropolitan Manila Development Authority (MMDA) announced suspension of Unified Vehicular Volume Reduction Program (UVVRP) or Number Coding Scheme on December 26 (Tuesday) for PROVINCIAL BUSES ONLY. MANILA, Philippines - The banking hours schedule for the 2017 Christmas holidays and operations for New Year (first week of January 2018) has been released online. During the long holiday break, select bank branches will be open. Check out the updated list of banks and their schedule for December 24, 2017 to January 2, 2018. For the complete list of BDO branches open during this holiday season, please view here. The banks electronic channels, meanwhile, are ready to handle transactions during this season. BPI and BFSB announced that it will extend branch operations during the holiday season. On weekdays until January 3, 2018, 119 BPI and 49 BFSB branches will have extended banking hours up to 6:00 pm. Meanwhile, here's the list of branches that would be open on December 26, 2017 and January 2, 2018. Majority of Metrobank branches will be closed on December 24, 30 to 31, 2017 but some of its branches will be open to serve the clients' banking needs. Check out full holiday advisory here. 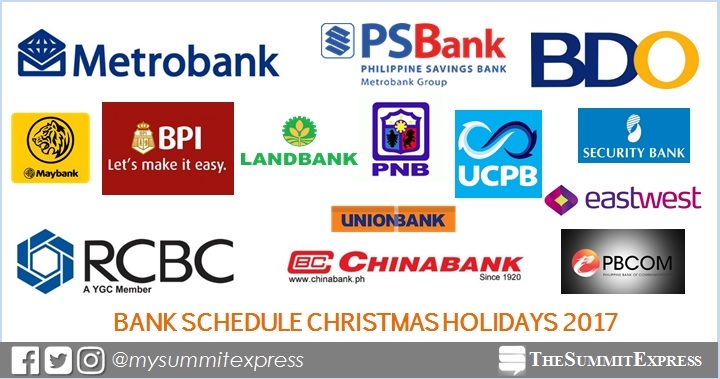 All PSBank branches will be closed on Christmas Day but its clients may use other channels such as ATM and online transactions. All branches are also closed on weekends. Selected branches are ready to serve on December 24, 2017 (Sunday) and December 30, 2017 (Saturday). All ATM or Point-of-Sale machines, as well as Internet Banking facility will still be available for client's banking transactions during these dates. Business as usual for all branches from December 26 to 29, 2017 (Tuesday to Friday). For the full list of branches and schedules, check out here. "Following the announcement regarding the nationwide suspension of work in Government offices, we would like to inform you that there will be no clearing and settlement of checks on December 26, 2017 and January 2, 2018. In this regard, we would like to remind you to fund all your check payments as early as December 22 and 29, as outward checks will be transmitted for processing on the next banking day." As advised, there will be no check clearing and settlement on December 26, 2017 and January 2, 2018. For immediate assistance, please call their 24/7 Customer Service Hotline at (+632) 573 8888. Select Chinabank branches will open on December 30 and 31, 2017. All branches will be closed on the following dates: December 23-26 and 30-January 2, 2018. Note: Clearing and settlement will resume on December 27, 2017 and January 3, 2018. All branches will be closed on December 24 to 25, 30 to 31, 2017 and on January 1, 2018. All branches will be closed on Christmas Monday, December 25, 2017 and New Year’s Day. Weekend Banking stores would stay open to serve its clients on December 23- 24, 2017 and December 30-31, 2017. 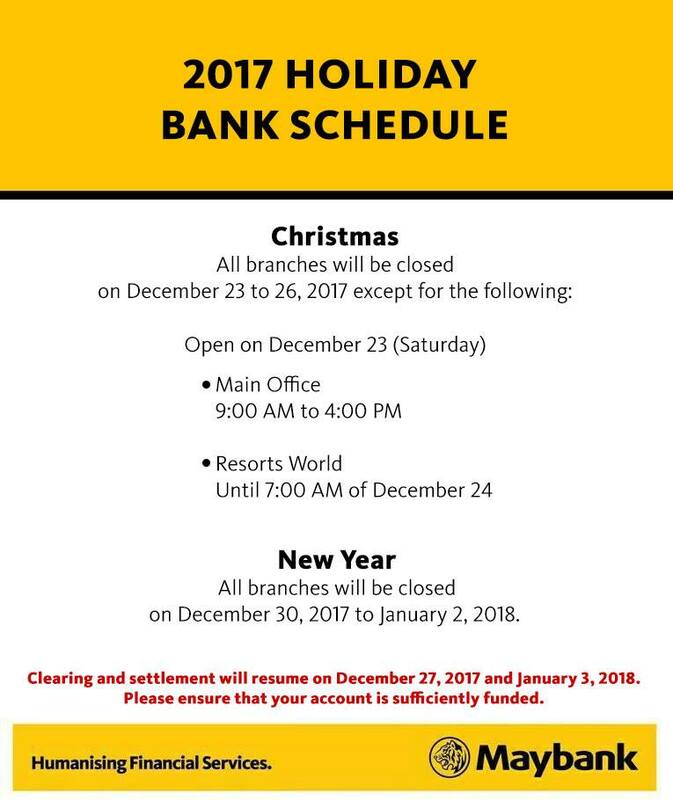 Some of Land Bank of the Philippines (LBP) branches would continuously serve for its clients' banking needs on December 26, 2017 and January 2, 2018. Check out the list of branches and extension offices open on the said dates here. 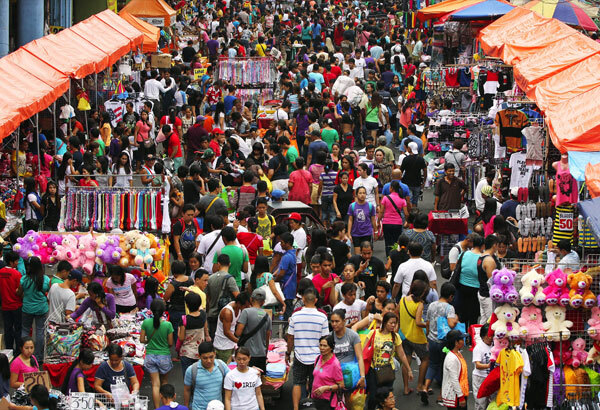 MANILA, Philippines - As the holidays are fast approaching, everyone is busy attending Christmas parties and buying gifts for their loved ones. During this time of festivities, we usually see increase in activities especially in the use of ATMs, online shopping, use of credit and debit cards as well as online banking. 1. Be careful when using your ATM cards. Keep your eyes open. If you’re looking at an ATM and its PIN pad looks a bit loose, or see scratches or sticky residue, be wary as scammers will often attach false fronts to the ATM with tape. Cover the PIN pad with your hand. If there is a skimming device on the card reader, there will usually be a pinhole camera mounted underneath the top of the ATM. As the card reader captures the account information, the pinhole cameras record the customers’ PIN. When in doubt, don’t use the ATM. The only way to prevent your ATM card from being skimmed is to recognize that the machine has been tampered with. Best to just walk away from it. If it cannot be avoided immediately change your pin using a secure ATM, preferably one attached to a bank branch. 2. Always protect your user name and password. 3. When shopping online, only purchase from trusted websites. 4. Beware of phishing emails or text messages that are asking you for money, your user name or password. Avoid clicking on links in emails that you receive. 5. When banking with the use of online facilities. Access your accounts from a secure location. It is always good practice to access your accounts using computers and networks you know and trust. However, when the need to access accounts from remote locations arise, check the address bar on your browser – the URL of the site you are on should begin with “https”. This acts as confirmation that you are accessing your account using a secure connection. Always logout when you are done. Logging out of your online banking session when you are finished lessens the chances of you falling prey to session exploits by cybercriminals. 6. When using your credit card, always be aware of where your credit card is to avoid skimming. 7. Make sure that you have up-to-date anti-virus software. 8. Only use legitimate and properly licensed software. Pirated software has been known to have malware. This advisory was the product of discussions of the PNP-ACG Advisory Council. "We hope that you take the necessary precautions to protect your yourselves. Should you need assistance, we, at the PNP Anti-Cybercrime Group, are ready to assist. You can reach us through telephone number 414-1560 and email address acg@pnp.gov.ph." Christmas is almost here! You might have just received your bonus this early, and now you’re just too excited to spend it on this and that, go on a shopping spree, or give gifts to your family, friends, or even to random people – sounds good, because you have a lot to spend so you won’t end up broke this season, right? NOT. The truth is, you can’t truly spend just enough without a plan. So, how do you plan it out? Perhaps you’ve been reading too many budgeting tips since the –ber months started, so you might have noticed by now what they have in common. If you’re trying to come up with a Christmas spending strategy, but you’re flooded with the hundreds of advices that you don’t know what to follow anymore, go back to basics and keep it simple. Make your funds work with you with these five straightforward tips. 1. Do your pre-Christmas cleanup. There’s more to it than just decluttering your closet. Cleaning before Christmas will help you find the stuff you barely or never used—those that take up too much of your space. Try selling them. Or give them to friends or family members. How about give them away as charity gifts? You can also draw ideas from the things you’ll find: What do I have here? What do I NOT have here? What more do I need? 2. Make a list. We know there are too many gift ideas you’d like to try, but before you rush in to Christmas shopping without a battle plan, you might want to think twice. Identify what’s worth your budget – if you already set a budget! Making a list (and checking it twice) is a must when you’re playing Santa Claus for this season. It will help you plan and keep track of your spending, and most importantly, help you avoid impulse buying. 3. Check online. Now that you know what you need, you might also aim for a cheaper version or an alternative. From the many hours you spend on social media, try to take at least 30 minutes of it to research on the items you want to buy. This will give you info about the product, or maybe if you know where to look, you’ll even find good deals. So by the time you do the real shopping in a physical store, you’ll know the price range and specifications of your items. This will save your precious time! 4. Take advantage of promos and discounts. You know the best thing about online research? You get to discover more affordable options. If you already set a spending limit to your Christmas shopping, then buying things on sale or availing of promos might just be good for you; with cheaper purchases or installment promos, you’ll get a chance to add more items to your list without exceeding that limit. 5. Set your budget. Stick to it. Have we mentioned this already? —Let us say it again: avoid impulse buying. You’ve already tidied up your closet, made a list, checked online, so now you know what you’re going to buy when you visit the mall. We know self-control is hard to practice when you find something that really appeals to you, but staying within your limits is crucial if you don’t want to overspend. If you really can’t help it, remind yourself of #4. And you’d be surprised – you may even get the product you want by paying through monthly installments that fit your budget. Installments? But I have no credit card! Don’t worry, we’ve got your back! Home Credit lets you easily afford the things that matter to you. Even without a credit card, you can pay for it through installments at 0% interest. Through a simple, easy, and fast process, you can take home that item you want and still have a budget to spare. Now if you succeeded with these tips, why don’t you reward yourself with that spare budget? You deserve it! The tricks to avoid overspending take less effort and more diligence in staying inside your budget. So if you already set a limit to your spending but can’t stop yourself from buying the things that interest you, check your available resources, make your list, and do your research – you might find good deals that are just waiting for you! For more info about Home Credit’s promos, loan applications, and store locations, visit www.homecredit.ph. MANILA, Philippines - 'Bagyong Vinta' (international name: Tembin) has slightly intensified as it continues to track westward over the Sulu Sea, state weather bureau PAGASA announced in its 5:00 a.m. update on Saturday, December 23, 2017. 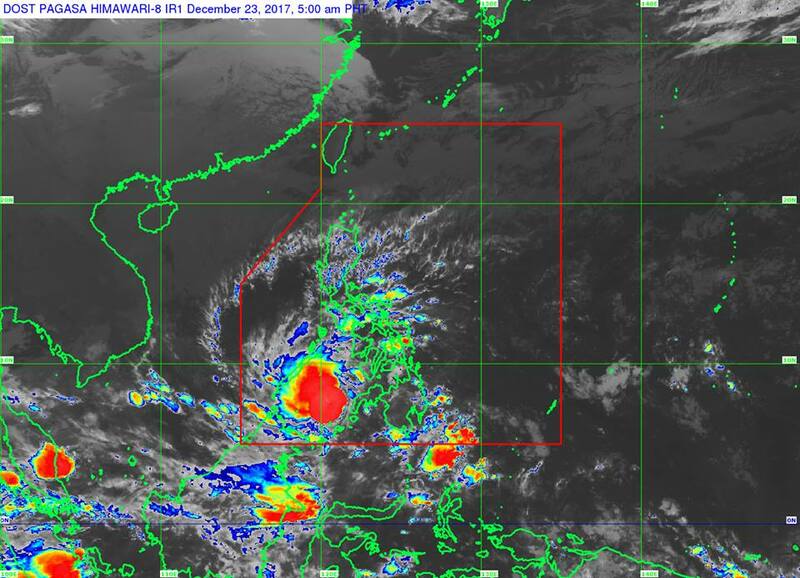 Tropical Storm Vinta satellite image as of 5:00 am, December 23, 2017. Courtesy of DOST-PAGASA. At 4:00 a.m. today, the center of Tropical Storm Vinta was estimated based on all available data at 165 km Northwest of Zamboanga City, Zamboanga del Sur (7.9°N, 121.0°E). 'Bagyong Vinta' has maximum sustained winds of up to 75 kph near the center and gustiness of up to 90 kph. It is forecast to move West at 20 kph. Tropical cyclone warning signal (TCWS) #2 (61-120 kph expected in 24 hours) has been raised over Southern Palawan. Wave Height (Open Sea) is at 4.1-14.0 meters. Coastal flooding is possible. TCWS#1 (30-60 kph expected in 36 hours) has been hoisted over the rest of Palawan, Western section of Zamboanga del Norte, western section of Zamboanga del Sur and Zamboanga Sibugay. Scattered to widespread moderate to heavy rains will prevail over Palawan, while scattered light to moderate with at times heavy rains is expected over Bicol region, Visayas, Mindanao, and the rest of MIMAROPA within 24 hours. Residents of these areas must take appropriate actions against flooding and landslides, coordinate with their respective local disaster risk reduction and management offices, and continue monitoring for updates. Sea travel is risky over the seaboards of areas under TCWS, the southern seaboard of Mindoro provinces and the western seaboard of Aklan and Antique due to the Tropical Storm. MANILA, Philippines - Severe tropical storm 'Vinta' (international name: Tembin) is now in the vicinity of Boston, Davao Oriental, state weather bureau PAGASA announced in its 5:00 a.m. update on Friday, December 22, 2017. Severe Tropical Storm Vinta satellite image courtesy of Himawari. 'Bagyong Vinta' has made landfall in Cateel, Davao Oriental around 1:45 a.m. today, PAGASA said. At 4:00 a.m. today, the center of Severe Tropical Storm 'Vinta' was estimated based on all available data including Hinatuan Doppler Radar at in the vicinity of Boston, Davao Oriental (07.9 °N, 126.3 °E). 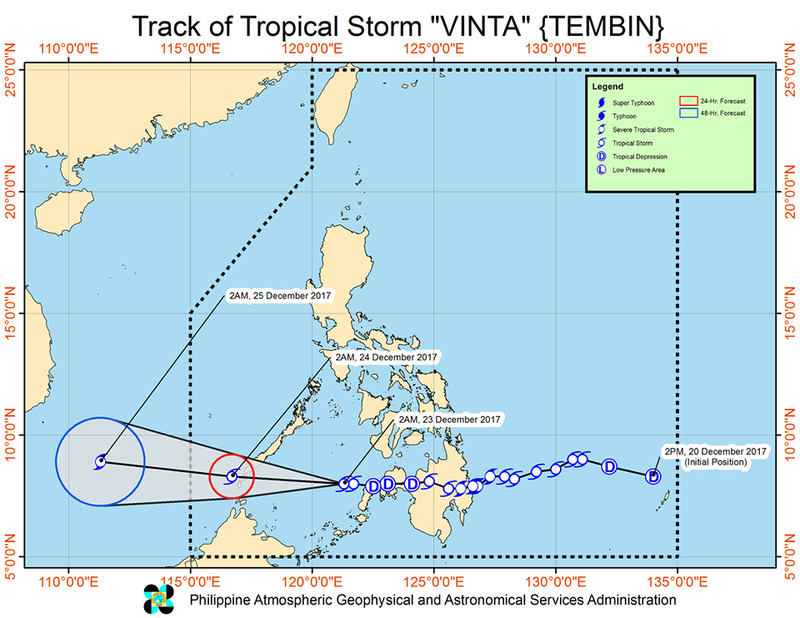 'Vinta' has maximum sustained winds of 90 kph near the center and gustiness of up to 125 kph. It is forecast to move West at 20 kph. 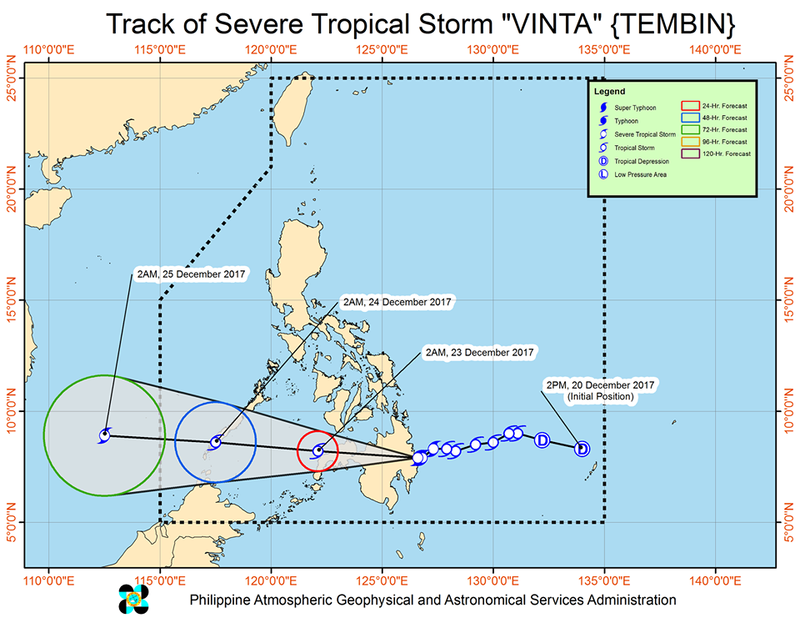 Severe Tropical Storm Vinta latest forecast, track. Image courtesy of DOST-PAGASA. Tropical cyclone warning signal (TCWS) No. 2 (61-120 kph expected in 24 hrs) is up over 16 areas: Siquijor and Southern Negros Oriental, Surigao del Norte including Siargao Islands, Surigao del Sur, Agusan del Norte, Agusan del Sur, Northern Davao Oriental, Compostela Valley, Davao del Norte, Camiguin, Bukidnon, Misamis Oriental, Lanao del Norte, Lanao del Sur, Misamis Occidental, Eastern Zamboanga del Norte, and Eastern Zamboanga del Sur. TCWS No. 1 (30-60kph expected in 36 hrs) has been raised over 14 areas: Southern Leyte, southern portion of Leyte, Bohol, Southern Cebu, rest of Negros Oriental, and southern Negros Occidental, Dinagat Island, rest of Davao Oriental, Davao del Sur, North Cotabato, Maguindanao, rest of Zamboanga del Norte, rest of Zamboanga del Sur, and Zamboanga Sibugay. Scattered to widespread moderate to heavy rains will prevail over Visayas and Mindanao within 24 hours. Residents of these areas must make appropriate actions against flooding and landslides, coordinate with their respective local disaster risk reduction and management offices, and continue monitoring for updates. Sea travel remains risky over the seaboards of areas under TCWS.